I was charged with Evading a Police Officer in a Reckless Manner under Vehicle Code Section 2800.2; [I tried to outrun] a police officer who was trying to pull me over. In addition I had numerous prior convictions and charges for Hit and Run (Vehicle Code Section 20001a) and Driving on Suspended License (Vehicle Code Section 14601.1a). I hired Attorney Will Bruzzo to represent me. 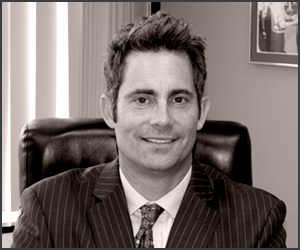 Mr. Bruzzo has been practicing law for a long time and is very familiar with the District Attorney and Courts. Mr. Bruzzo used his experience and knowledge of the District Attorney to convince them to DISMISS the Vehicle Code Section 2800.2 charge and change it to a Vehicle Code Section 2800.1 as a misdemeanor which carries no jail minimum. I was sentenced to 30 days Cal Trans which included [an additional case] of Driving on a Suspended License (Vehicle Code Section 14601.1a) which usually requires a jail minimum. I am very happy Mr. Bruzzo got me a Misdemeanor and kept me out of jail. I would enthusiastically recommend him for any Evading case or criminal matter. Please contact Mr. Bruzzo on any criminal matter at (714) 547-4636.